Spectacular Luxury Oceanfront condominium,located in the very sought after gulf crest complex. This unit is located on the 1 st floor and has never been on rental program. Come take a tour of this 3 bedroom, 2 baths condo and walk right out the door to pool, tiki bar & Beach. 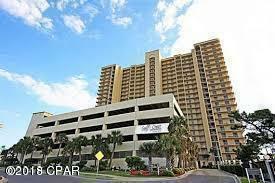 Beautifully designed ocean front condo with its on private parking space.